Maidstone borough, much like many areas of Kent, is rich in culture, with a great array of attractions to suit even the most discerning tourist. And, regardless of whether your passion is history or nature, shopping or entertainment, there is no end to the myriad opportunities for discovery during your time in the region. For those with a penchant for uncovering the charms of yesteryear, or indulging in the grandeur of times past, the many castles and historic houses of Maidstone offer a fascinating insight into the many residents that have graced the borough over the centuries. Below, we focus on the best castles in Maidstone, and take a detailed look at some of the most iconic and impressive structures that decorate the lands of this intriguing region. Known globally as the ‘loveliest castle in the world’, Leeds Castle is as iconic an attraction to be found as anywhere in the UK. 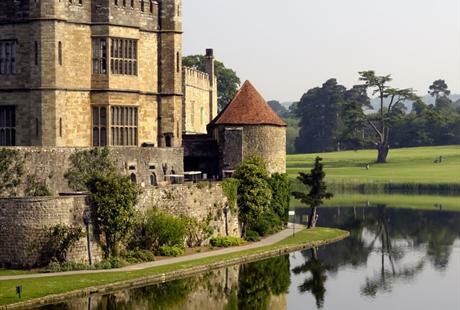 Offering a fantastic day out for history buffs, family travellers, and anyone with an appreciation in nature, Leeds Castle offers an abundance of activities and events to complement the sheer magnificence of the structure and grounds. Set in over 500 acres of spectacular parkland, and packed with nine centuries of history, the majesty of Leeds Castles has few peers. The castle was once the palace of Henry VIII and Catherine of Aragon, while the legacy of the castle since the first bricks were laid by William the Conqueror’s son ensures that tourists and scholars continue to flock to the attraction year in, year out. While the history and grandeur of Leeds Castle is evident on even the briefest tour of the building, much acclaim for Leeds Castle is afforded to the magnificent grounds – not least the popular maze. 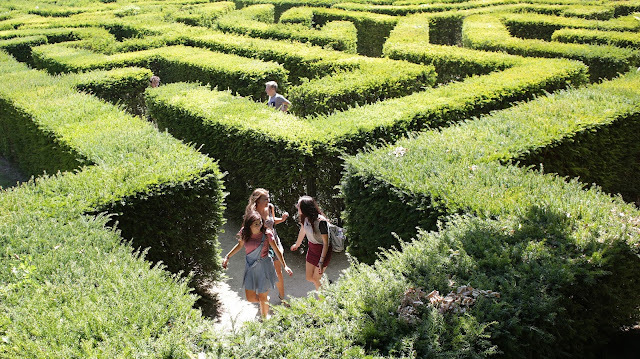 Consisting of 2,400 yew trees, and with an underground grotto of macabre scenes and mythical beasts crafted from wood and shells, this fantastic labyrinth continues to confound and entertain visitors of all ages. Also of note at Leeds Castle is the number of unforgettable events that happen on site throughout the year. From classical open air concerts to activity days designed for children, the calendar of events is packed and offers something for all. 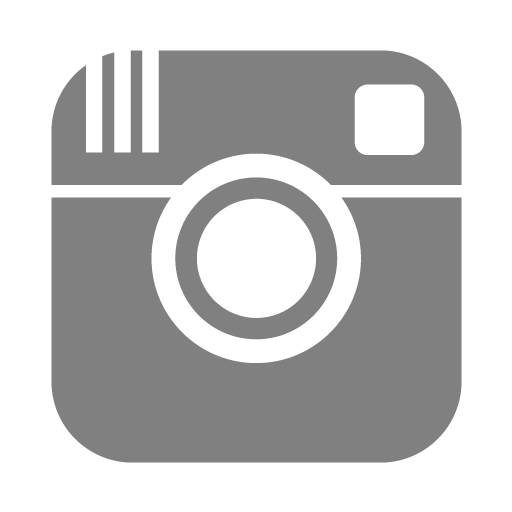 Of particular interest in 2015, meanwhile, is the new flagship attraction known as ‘The Dark Sky’. 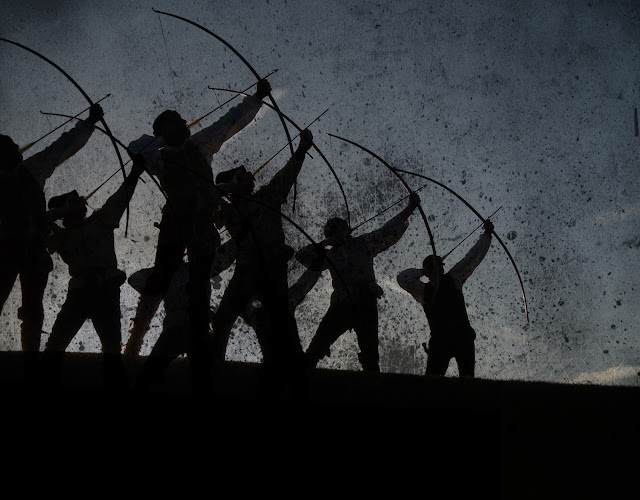 This fascinating event commemorates the 600th anniversary of the Battle of Agincourt – the height of which saw the sky clouded by the longbow-men who fired arrows relentlessly towards French invaders. For something slightly less grand but with a legacy stretching back to the 12th century, Thurnham Castle on the edge of the North Downs features a history of rich fascination relating to some of the most famous names of the Middle Ages. 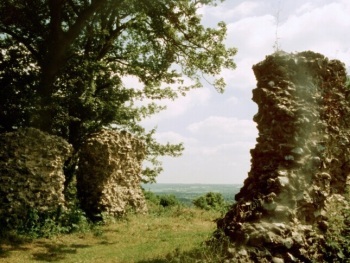 Constructed from flint and with extensive ruins providing an insight into how the structure would’ve been during its heyday, Thurnham Castle’s origins tie in to the period when Richard the Lionheart headed to the Holy Land during the Crusades. Alongside him rode Stephen and Robert de Thurnham, the latter of which would be afforded the title commander of the English fleet and would arrange for the construction of the castles whose remains can be seen today. According to legend, Robert de Thurnham would never return from the Crusades, leading to the castle to enter a period of decay that would lead to its current state today. Since acquired by the Council, preservation of Thurnham Castle has been key, and the site today welcomes visitors to the borough who are fascinating by the enduring appeal and story of the castle’s origin. In addition to the captivating appeal of Leeds Castle and the historic importance of the remains in Thurnham, Maidstone features a host of other attractions that recall past eras of rich intrigue. Take the time to discover the many historic sites of the Maidstone borough during your time in the region, and enjoy uncovering the culture and heritage that is as enduring as it is fascinating.